Farming Simulator may be a running gag among PC gamers, but sales numbers for the latest entry in the series are no joke. 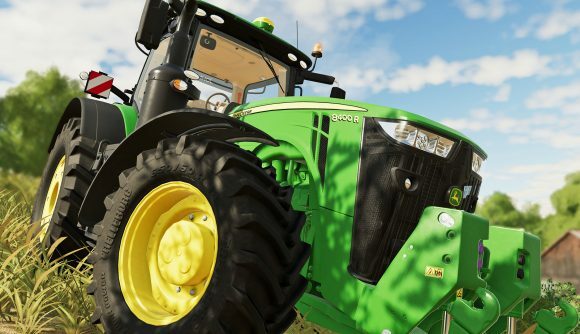 10 days after launch, Farming Simulator 19 has sold over one million copies. Those are worldwide numbers covering all platforms worldwide across digital and retail, and the stats on PC look especially great. “Never before has a Farming Simulator game reached the one million mark so quickly and we are proud and happy that so many players join us on this amazing journey,” Christian Amman, CEO of developer Giants Software, says in a press release. There have been seven major releases in the series, going back to Farming Simulator 2008. The numbers we can see via Steam Charts tell a similar story, as Farming Simulator 19 peaked at an impressive 59,234 concurrent players. No, those aren’t Fortnite player numbers, but they put the game in good company among all but the absolute top titles on Steam. Even though those numbers have dropped significantly since launch, they’re still hovering comfortably in the top 25 between games as popular as Civilization 6 and Monster Hunter: World. Here, watch a trailer to see what those million players are into. I’ll admit to not entirely ‘getting’ the appeal of Farming Simulator – it’s American Truck Simulator all the way for me – but it’s always lovely to see a game laser-targeted toward specific niche manage to find success.